We live in an amazingly high-tech world, surrounded by electronic gizmos and gadgets. Because our lives are so infused with electronics, everyone -- engineers, educators, entrepreneurs, students, and artists alike -- can greatly benefit from learning more about them. Understanding how to read schematics, solder, program, and build circuits instills a unique understanding of the world we live in; not to mention, hacking and making with electronics is just plain fun! Through our tutorials and kits, we want to help make the world of electronics as approachable as possible. Anyone can (and should!) learn electronics. It's just a matter of finding somewhere to start. 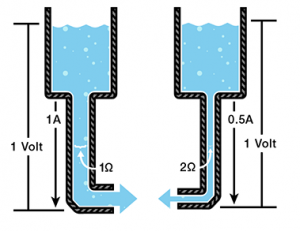 Our tutorials explain, teach, and inspire electronics enthusiasts and beginners alike. We have a wide range of tutorials covering both basic electronics theory and project build examples. The tutorials are written by the experts, and they are filled with high-quality images to help you through. If you're unsure of which tutorial to begin with, check out the Starter Tutorials section of this tutorial. On our online retail store, we sell anything from beginner’s soldering kits to advanced development platforms. What better way to start learning than by doing? 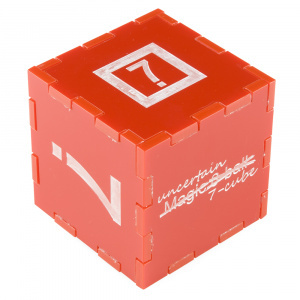 Our kits help explain basic electronics concepts, while also allowing you build something fun and functional. Find our recommended beginner kits in the Starter Kits section of this guide and start building! We want to get everyone out there as geeked out on electronics as we are. 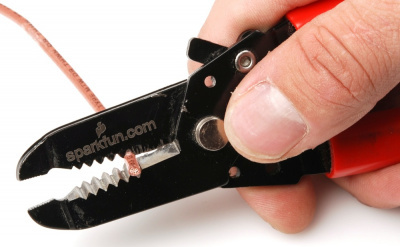 Our starter kits are well-documented, easy to understand, and fun! 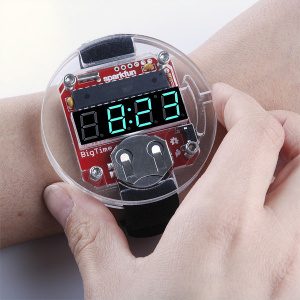 You could pick up a soldering kit, and make the classic Simon memory game or a Big-Time watch. 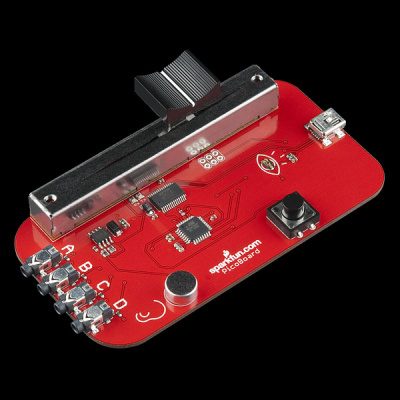 If you’re looking to avoid the soldering iron for now, check out the SparkFun Inventor’s Kit. 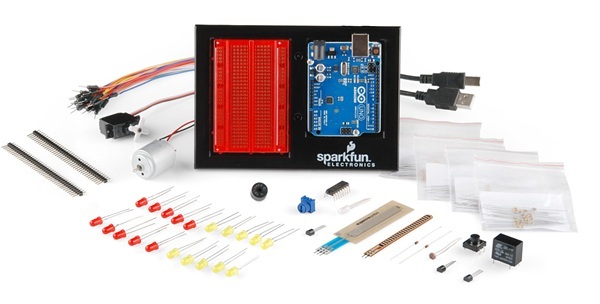 This is a beginner’s electronics kit, which features an Arduino microcontroller. 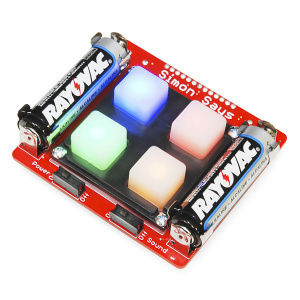 You'll quickly be blinking LEDs, spinning motors, and scrolling messages on LCDs. It includes a well-illustrated reference manual to guide you through all of the experiments. Electronics doesn’t always have to mean soldering, wiring, and breadboarding. We’re also really into wearable electronics (e-textiles), an amazing melding of both sewing and electronics. Using conductive thread we can sew battery packs, LEDs, and microcontrollers into fabric to light up backpacks, dresses, jackets, or whatever. Our LilyPad ProtoSnap is perfect for quickly prototyping and testing an e-textiles circuit before breaking it apart and sewing it into place. For more starter kits, check out the kits category on our store! Our passion for teaching electronics extends beyond the computer screen. We have a classroom in our headquarters (in Boulder, CO, USA) to teach a few workshops, and we've also been known to take the show on the road as well. Go from blinking an LED to virtual prototyping in seven hours and still have time to eat lunch! 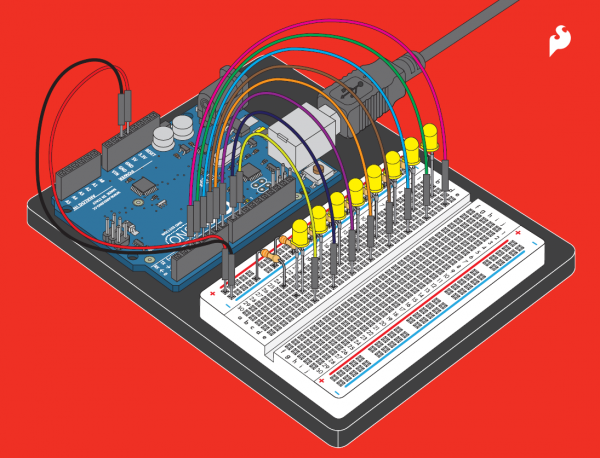 This class is for anyone who has never played around with Arduino before and those who have played around a little bit but aren’t entirely sure about how the basics work. It’s easier than you think! We will put together basic single component electrical circuits, learn about analog and digital, input and output, basic programming concepts, practice very basic Serial communication, and briefly cover basic virtual prototyping. In case you haven’t noticed the key word here is basic. 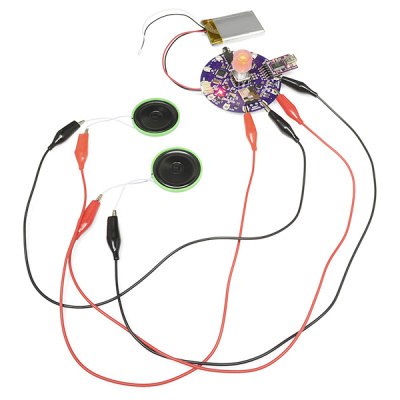 Combining Scratch -- a freeware, drag-and-drop, block-programming environment -- and the PicoBoard, students as young as five can learn how to integrate sensors into projects. They will learn things like how to use a light sensor to control the background of their animation, use a slider to control the speed of their character, and how to create their own sensors. Along the way they will also learn fundamental concepts like how the electricity functions in these sensors. Wearable electronics (sometimes called e-textiles) is one of the latest trends in the embedded electronics world. 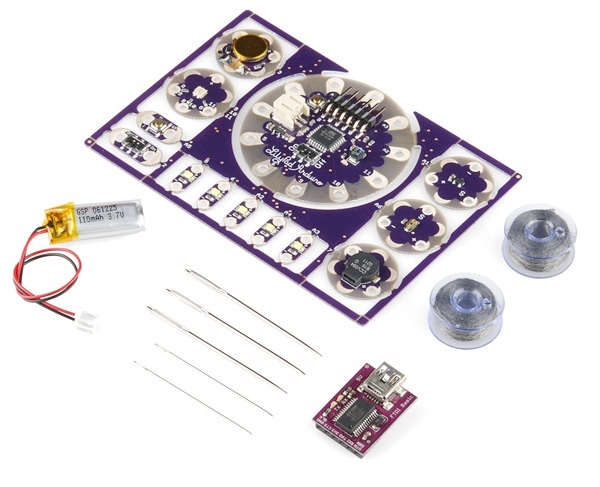 With the ProtoSnap LilyPad Development Board, you’ll be introduced to sewable electronics through the LilyPad system, a technology developed through a partnership between SparkFun and MIT Professor Leah Buechley. This workshop includes everything you need to get students programming and sewing their own LilyPad creations. Visit our Classes page for information on upcoming events. We teach anything from squishy circuits (learning electronics with conductive play-doh) to how to design a circuit board.